The class was established by the Program in Museums and Society and was taught by Nancy Mickleright, the Head of Scholarly Programs and Publications at the Freer and Sackler Galleries of Asian Art. “The class started out more with discussion and theoretical ideas and then moved on to actually going to the Freer | Sackler and working in the archives with the photos. We were also able to meet people from different departments. We got to meet curators, people from the archives, exhibition designers, and the advertising department,” said sophomore, Grace Golden. Golden and fellow classmate Christie YoungSmith, continued to flourish and polish “In Focus” during their internships at the Sackler Gallery. With the knowledge gained from “Photographs on the Edge,” these two students had the opportunity to guide “In Focus” out of the classroom and hone the exhibit until it had been primed for the Sackler Gallery. Golden and YoungSmith both shepherded “In Focus” from start to finish. “We began by talking about Ara Güler and the history of photojournalism and then moved on to the archives. We split up into groups and came up with different exhibition proposals and themes, and then voted on one that we chose to continue with. After the classes ended, myself, along with another student from the class, were able to stay on as interns and keep working on the project,” said Golden. The class evolved from enhancing the selected proposal in the classroom to a cultivated public exhibition. “Photographs on the Edge” combined the intellectual study of photojournalism with the concrete application of designing and curating an exhibition. 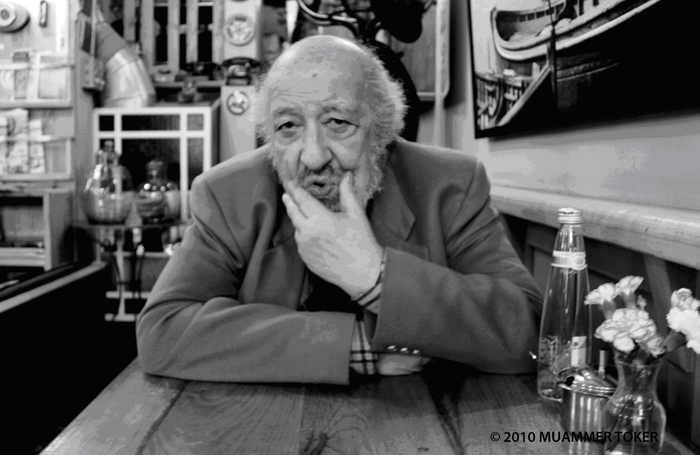 “The proposal we decided to use focused on the difference between photojournalism and art because Ara Güler is known as this art photographer, and Turkey’s foremost photographer, but he asserts that he is not an artist. His work is not photography, it is just documentation. From there, as a class, we came up with programs, advertising, and the preliminary wall text. Over the summer, my job was to develop the wall text and write other supplementary materials such as blog posts and research for the brochure that goes along with the exhibit,” said Golden. “Photographs on the Edge” students selected these images from the Raymond A. Hare collection, housed within the Freer and Sackler Archives. These photographs, which had never been displayed, featured the decaying relics of Güler’s Anatolia. “The preliminary selection of photographs was made by the group with the selected exhibition proposal. We continued to refine the selection based on the groupings that we had. Curators at the Freer | Sackler also gave us input,” said Golden. “In Focus: Ara Güler’s Anatolia,” is divided in several distinct ideas to stimulate the debate on the nature of photography. These concepts, Magic, Change, Truth, and Eyes of the World, each brought a unique perspective to the discussion of Güler’s work in the larger debate about photography. The students of “Photographs on the Edge” utilized the works of Güler to task the viewer to question whether photography functions as documentation or as an art form. The exhibit is accompanied by student-selected quotes of Güler paired with questions to probe into the meaning of his photographs. The photographs, taken in the early 1960s, depict the crumbling remains of medieval Seljuk and dilapidated Armenian structures, pulling the viewer into another era. Güler’s photographs preserve the decaying beauty of locations that have since been altered and renovated to promote tourism. Compelled to look beyond aesthetics, the viewer must expand beyond a mere consideration of the magnificence of a lost time, instead contemplating the intersection of art, history, and documentation.